This coming Monday, 6 October, at 1200 hrs I will be giving a talk on the war in Ukraine at the University of Ottawa. Details here. As a regular feature of this blog, I intend to cover themes studied in the courses that I teach at the University of Ottawa on the topics of ‘Russia and the West’ (Autumn semester) and ‘Irrationality and Foreign Policy Decision Making’ (Winter semester). I will post an entry each week relevant to the topic of that week’s class. This week in ‘Russia and the West’, the class will be looking at Russia’s relationship with the East, to determine to what extent Russia might be considered an Eastern rather than a Western country. With that in mind, this post will take a brief look at the theory of Eurasianism. Simply put, Eurasianism contends that Russia is neither Western nor Eastern but something entirely distinct – Eurasian. Dreamt up by Russian émigrés in the 1920s this idea languished in obscurity until resurrected in post-communist Russia in the 1990s, since when it has acquired a degree of political influence and also morphed into a somewhat extreme form in the writings of philosophers such as Aleksandr Dugin. Eurasianism derived from a late nineteenth intellectual desire to discover distinct national roots of Russian culture. A notable figure in this movement was the critic Vladimir Stasov, who sought to liberate Russian art from European influences. He and others promoted a revival of Russian folk traditions. The best known result was Igor Stravinsky’s music and Vaslav Nijinsky’s choreography for the ballet The Rite of Spring, which celebrated Russia’s supposed Eastern roots. Eurasianism inspired a drive to find non-Western influences in all aspects of Russian life. This included re-evaluating the impact of the Mongol conquest of Russia, analyzing Russian flora and fauna to demonstrate their uniqueness, and so on. In the process, Eurasian scholars undoubtedly made some original and useful contributions to our understanding of Russia. However, they cherry-picked their evidence. Items which suggested Russia’s distinctiveness were emphasized, while others which suggested the opposite were downplayed. Further problems then arose when the research on Russian distinctiveness was allied to some rather dodgy geopolitical theories and turned into a political movement. The most prominent of these theories were the geopolitics of Harold Mackinder and Otto Spengler’s theory of the decline of the West. 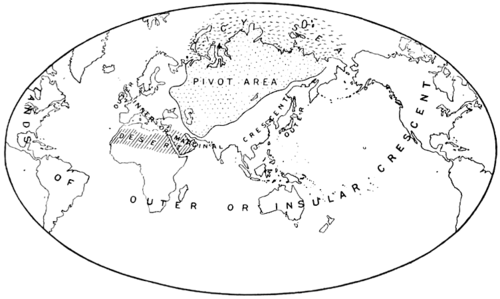 According to Mackinder’s ‘heartland theory’, Siberia and Central Asia together constitute the pivotal geographical area in the world. 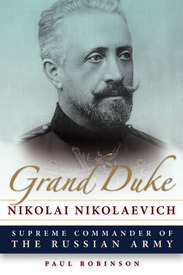 ‘Who rules East Europe commands the Heartland; Who rules the Heartland commands the World Island; Who rules the World Island commands the World,’ Mackinder wrote. Seen from the point of view of modern Eurasianists, this means that Russia should seek above all to control Central Asia, which implies a restoration of the old Soviet borders or at least some form of closer union between Russia and Central Asia, such as the new Eurasian Union. Heartland theory is, of course, utter rot. The United States has remained the world’s greatest power for the best part of a century without, until very recently, exerting any form of control over the ‘heartland’. Mackinder was entirely wrong. As for Spengler, in his 1918 book The Decline of the West he claimed that civilizations rise and fall as they develop from youth to senility. Western ‘Faustian’ civilization, he said, was reaching senility. By contrast, Russia was a young civilization waiting for its energy to burst forth, but it was trapped in a state of ‘pseudomorphosis’ by the dominance of the West, which had therefore to be cast off. Unfortunately for Spengler, the West failed to decline in the hundred years following the publication of his book. He too was entirely wrong. Spengler’s ideas nevertheless influenced Soviet thinker Lev Gumilev (1912-1992), in whose writings Eurasianism finally jumped the shark into the realm of pure loopiness. According to Gumilev, ethnic groups live and die as their levels of ‘passionarity’ (a sort of mystical life force) rises and falls from youth to old age. It reminds one somewhat of General Ripper’s obsession with America’s ‘precious bodily fluids’ in Doctor Strangelove. Again, the conclusion is that Russia should ally itself not with the decrepit West but with the fresh, virile forces of the East. Eurasianism has a touch of truth to it, enough to make it compelling to some. Overall, though, it is a crackpot theory, based on some rather bizarre and obviously false ideas from a hundred or so years ago. If they have any sense, Russians should definitely not use it as the basis for any type of political action.